Professional bypass orchard flower vine safety lock replaceable hand pruner, 32009B - Wise Center Precision Appliance Co., Ltd. Wise Center Precision Appliance Co., Ltd. has been dedicated to providing dependable, long-lasting Professional bypass orchard flower vine safety lock replaceable hand pruner for use throughout the Taiwan and worldwide. Our first responsibility is to completely satisfy the needs of the people and organizations that use and distribute our products, while providing best value solutions for their Professional bypass orchard flower vine safety lock replaceable hand pruner requirements. 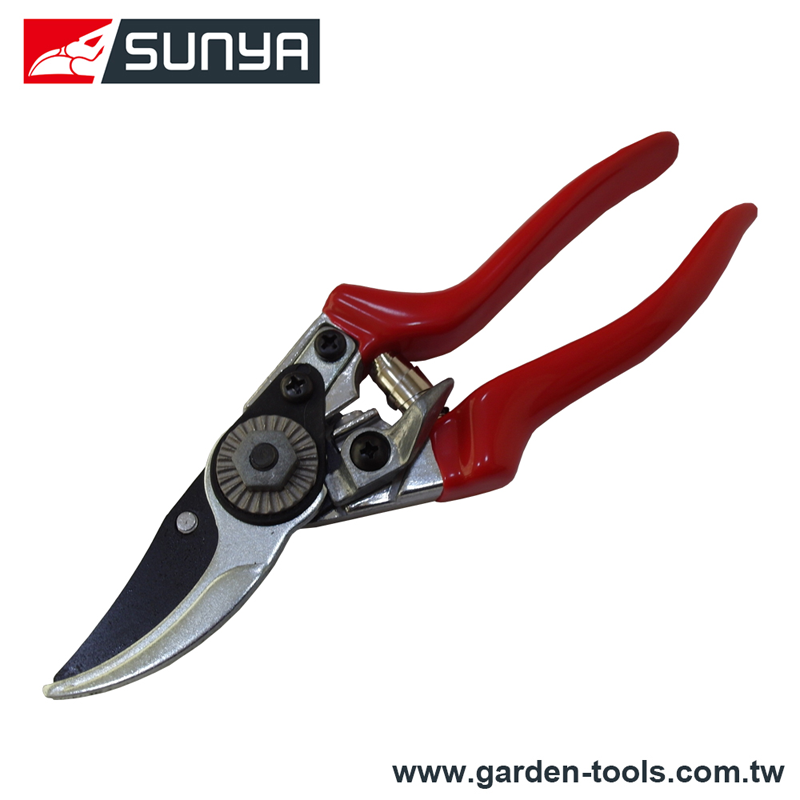 Pruning shears also known as hand pruners or secateurs, are a type of scissors for use on plants. Pruning Shears is used in trimming bonsai plant, compared with lopper and hedge shears; it is used in one hand. It used to prune hard branches of trees and shrubs up tp two centimeters thick. That is used in gardening, agriculture, farming, flower arranging, where fine-scale environment management is required. Dear Sir/Madam, I’m interested in Professional bypass orchard flower vine safety lock replaceable hand pruner, 32009B that your company provides. Would you kindly contact me with your detailed product information and FOB price? Thanks. As one of the most reliable supplier in Taiwan, we supply Professional bypass orchard flower vine safety lock replaceable hand pruner with the finest quality. After knowing the above information, if you want to know more, please come us. We will provide the information you need and offer high quality Professional bypass orchard flower vine safety lock replaceable hand pruner to you at best price.